Over 75 million Nigerians lack electricity access — including nearly 60% of those in rural areas — and development of the off-grid solar (OGS) market there seriously lags behind other African countries, notably in East Africa. Yes, but: Factors that have impeded the Nigerian OGS market appear to be changing and the sector is poised for substantial growth in the coming years. Widespread deployment of commercial OGS technology across the country could not only address the harmful energy-access shortfalls but also provide a catalyst for job growth and investment. To compensate for inadequate power supply, Nigerians spend an estimated $14 billion annually to run small-scale diesel generators. 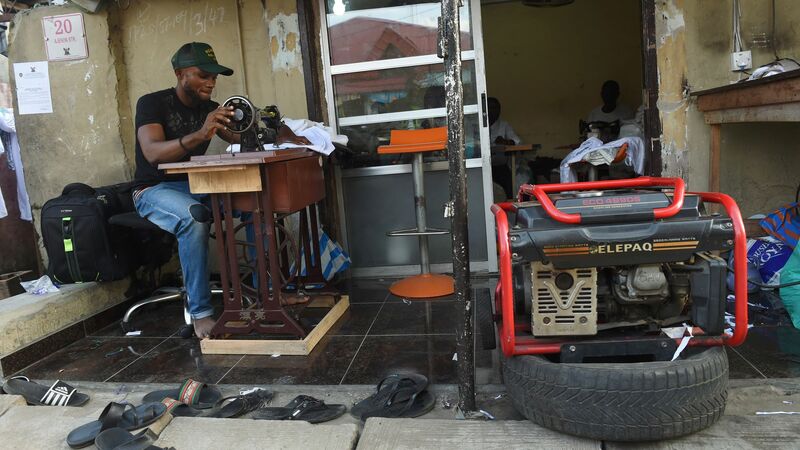 Over 80% of Nigerian businesses cite electrification challenges as the most significant obstacle to doing business, and the government estimates that erratic power supply results in more than $25 billion in annual losses. Policy commitment: The government has electricity access targets of 75% and 90% for 2020 and 2030, respectively. Now, with a revitalized Rural Electrification Agency, new policy frameworks and a $350 million World Bank project, the government is better equipped to achieve these goals and foster sector growth. Company entry and maturation: Leading international OGS companies have been reluctant to enter Nigeria, and local companies have lacked capacity for at-scale deployment. This is changing as major players migrate from East to West Africa and local companies develop operational experience to compete. For example, Lumos is planning to continue growing its customer base and startups such as One Watt Solar are exploring blockchain. Capital: Obtaining investment in this capital-intensive sector has been a challenge. International financiers have shown interest in Nigeria, but prospective borrowers face major currency-exchange risks. Domestic banks have been reluctant to lend, but this is changing now as the market matures. Mobile money: The lack of mobile money platforms, like M-PESA in East Africa, has deterred the spread of pay-as-you-go technology by limiting an important payment channel essential for lower-income customers. Companies are now piloting innovative ways to replicate this payment system, including partnering with mobile phone operators. What’s next: As the OGS sector grows, more Nigerians will gain energy access and the economic and quality-of-life benefits it confers. It’s too early to tell which companies will emerge with significant market share, but joint ventures between international and local companies will have the inside track. Jonathan Coony is global lead for green competitiveness at the World Bank Group.